Nine-year-old Claira Frizzell from Dartmouth recently began her journey to compete at Augusta National in the USGA Drive, Chip and Putt competition. 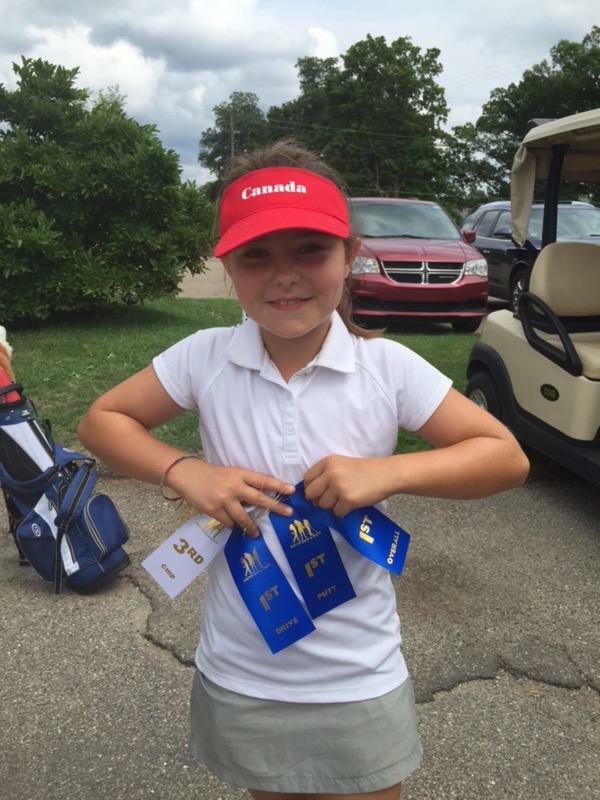 On July 5th, Claira travelled to compete in a local qualifier for the National Drive, Chip and Putt competition at Gull Lake View Resort in Augusta, Michigan. She competed in the girls 7-9 division and won the local qualifier with a total of 74 points. With this win she advanced to the sub-regional qualifier, which was held on August 14th at the Quail Ridge Golf Club in Ada, Michigan. She struggled with her driver during the competition and finished with a total of 61 points, which left her in 4th place. Only two competitors advanced to the regional qualifier. The winner of the regional qualifiers will go to the National Competition, which is held at Augusta National on the Sunday before the Masters. 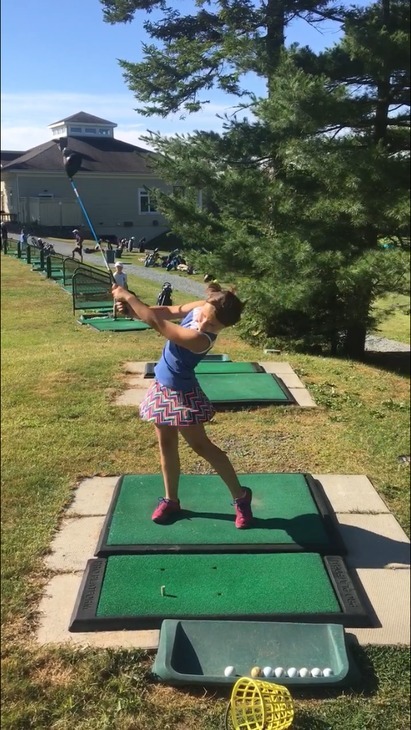 Claira plays out of the Links at Montague in Dartmouth and is looking forward to breaking into the Nova Scotia junior golf ranks when she turns 10. She has one more year of eligibility in the girls 7-9 category and is already training for next year’s competition. This is a joint initiative founded in 2013 by the Masters Tournament, the United States Golf Association and the PGA of America. Drive, Chip and Putt is a free nationwide junior golf development competition aimed at growing the game by focusing on the three fundamental skills employed in golf. By tapping into the creative and competitive spirit of girls and boys ages 7-15, Drive, Chip and Putt provides aspiring junior golfers an opportunity to play with their peers in qualifiers around the country. Participants who advance through local, sub-regional and regional qualifying in each age/gender category earn a place in the National Finals, that is conducted at Augusta National Golf Club the Sunday before the Masters Tournament and is broadcast live on the Golf Channel. All championship scoring is based on a 25-point-per-shot basis, with each participant taking three shots per skill. Each participant accumulates points per shot in all three skills (maximum of 75 points per skill = 25 points per shot x 3). The overall champion in each age category is won by the participant with the most points accumulated among all three skills (maximum of 225 points = 75 points per skill x 3).